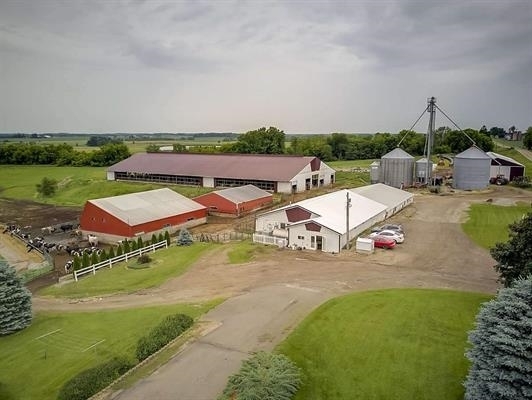 Proficient Dairy offers so much, buy with 57 or 120 Acres of the most productive soils in WI. Facilities include; 212 Free Stall barn, 132 headlocks, 132 mats, Peterson Water Troughs, built in 2007, addition 2012. Double 8 Parlor built in 2011 includes; DeLavalle milkers & variation pump with 2000 gal bulk tank. Holding area capacity 60 cows. Additional outbuildings; machine, heifer & dry cow sheds. Grain Facility; 30,000 bushel with dryer and wet bin, silage bunker 3,000 ton capacity. Not to mention the beautiful 2800 sq ft 4 bedroom 2 Â½ bath ranch home.